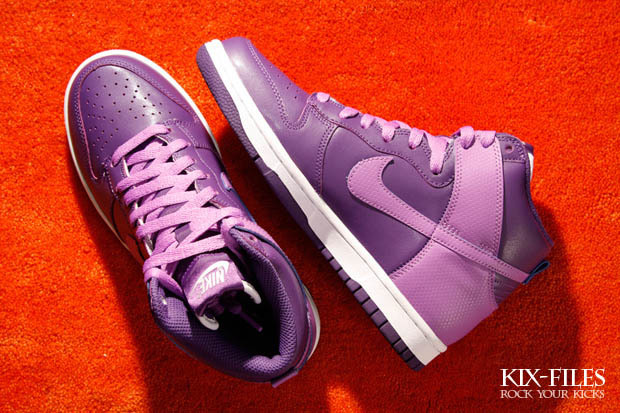 Nike WMNS Dunk Hi - "Tonal Purple"
Nike Sportswear issues an all-new Dunk Hi colorway exclusively for the ladies this summer. 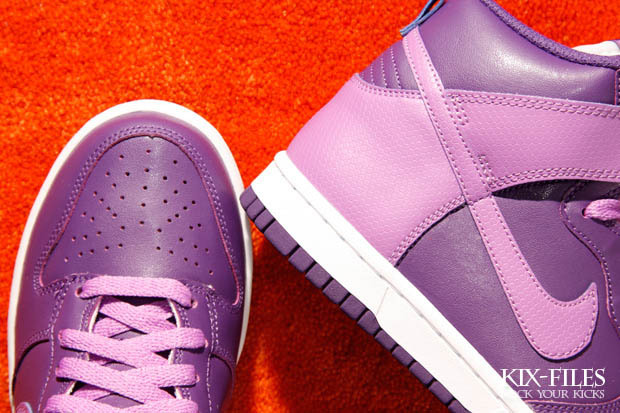 Score one for the ladies this summer with an all-new Dunk Hi colorway surfacing this month at Nike Sportswear retailers. 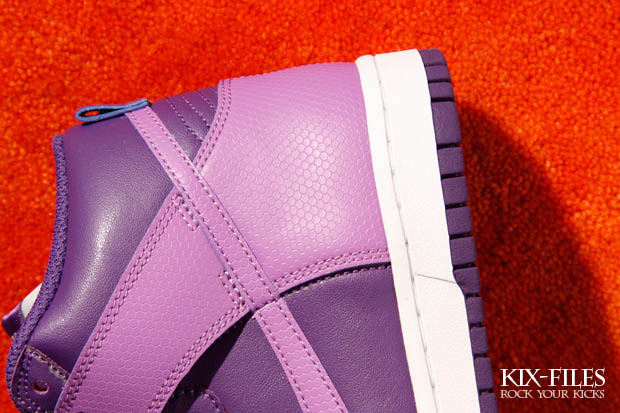 The tonal-themed sneaker features a club purple leather base with honeycomb-textured bright violet working the Swoosh, laces and heel overlay. White takes care of tongue branding and the midsole, while club purple returns to finish off the midsole. 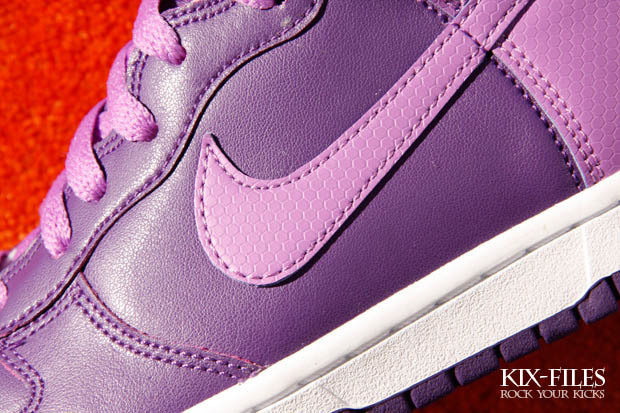 You can pick up a pair of the "Tonal Purple" Women's Dunk Hi over at Kix-Files today.